Nightmare On Elm Street is 30 years old. 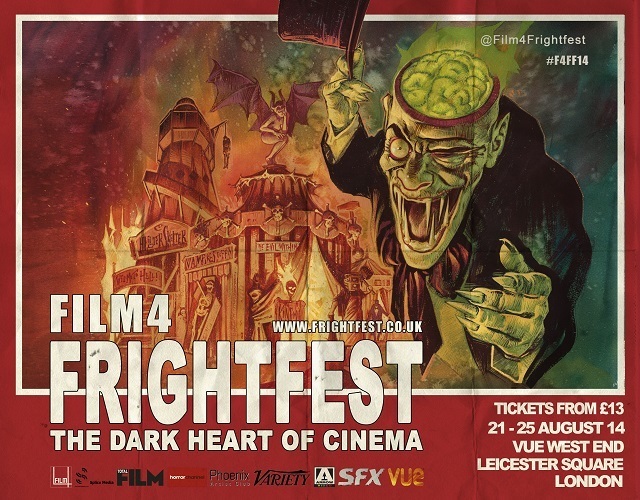 The funk of 40,000 years will be wafting out of Leicester Square over the August bank holiday weekend as Film4 Frightfest takes up residence in its new home at the Vue West End. This five day splatterfest, dubbed “the Woodstock of Gore” by director Guillermo Del Toro, is now in its 15th year and will feature its biggest line-up of 64 films, with 13 world and 38 UK and European premieres among them. There is a good meaty harvest of special appearances by directors and actors, including a Q&A with Freddy Krueger himself, Robert Englund, before a screening of A Nightmare On Elm Street to celebrate the film’s 30th anniversary. Cantankerous comic book maestro Alan Moore will also be making a rare appearance to discuss his trilogy of creepy short films, Show Pieces. Big screenings this year will be Eli Roth’s The Green Inferno, about a trip to the Amazon that goes very very wrong; long-awaited neo-noir sequel Sin City: A Dame To Kill For by Robert Rodriguez and Frank Miller; The Harvest by John McNaughton, who previously directed Henry: Portrait Of A Serial Killer; and the opening night gala screening of serial killer thriller The Guest starring Downton Abbey’s Dan Stevens. Other sickly treats for fans include a restored version of The Shining, while classics Dawn Of The Dead and Suspiria get a live score by Claudio Simonetti’s legendary prog-rock band, Goblin. And then there’s all the weird and twisted stuff you get deep in the mouldering recesses of the genre — films with titles such as Zombeavers, Wolfcop, Digging Up the Marrow and Altargeist. There is also a record number of female directors showing their work, which may or may not add to the level of sophistication. So get ready for cannibalism, body-snatching, angry property, common or garden demons, obscure phobias and maniacs in masks. It should be nice and nasty. Film4 FrightFest runs from 21-25 August. Tickets are available for each film or you can buy passes priced between £29 - £58, or festival-long passes for £170.